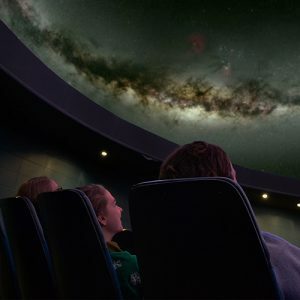 This magical Planetarium is managed by the Ella Sharp Museum, and Public Astronomy shows are presented under the 30-foot dome throughout the year with a new state-of-the art OmniStar projector. 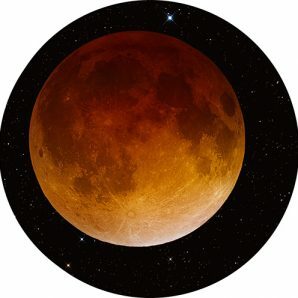 The Planetarium offers shows featuring a live presentation of the stars Thursday evenings and Sunday afternoons. The Sun has shone on our world for four and a half billion years. The light that warms our skin today has been felt by every person who has ever lived. It is our nearest star and our planet’s powerhouse, the source of the energy that drives our winds, our weather and all life. The passage of the Sun’s fiery disc across the sky — day by day, month by month — was the only way to keep track of time for countless past civilizations. Don’t be fooled by the terminology; although it is a typical dwarf star, the Sun consumes 600 million tons of hydrogen each second and is 500 times as massive as all the planets combined. Discover the secrets of our star in this planetarium show and experience never-before-seen images of the Sun’s violent surface in immersive fulldome format. Our team has worked with some of the most talented planetarium producers to bring you this visually striking planetarium show about the most important star in our lives. Visit the Ella Sharp Museum front desk for tickets. Experience the ancient legends of the night sky! Perseus & Andromeda is a fun-filled retelling of the legendary Princess Andromeda and Perseus, as they try to escape the great sea monster set upon Andromeda by her mother, Cassiopeia. Recommended for Ages 5-13. Visit the Ella Sharp Museum front desk for tickets. Ella’s Explorers is a brand new club for children with a curious mind and an explorer’s heart. Join us each month for out of this world activities and experiences; design a rocket, build models of the solar system, learn how to use telescopes, and more! Recommended for ages 7-11. Sensory friendly planetarium shows are designed to make the planetarium environment more accessible. Soft lights remain on, sounds are set to lower levels, and the doors are left open. Shows will be on the first Sunday of each month starting March 2019. Have you ever wanted a birthday under the stars? A party that’s out of this world? A place for your event unlike any other? Look no further than Ella Sharp Museum’s Hurst Planetarium! Call to make a reservation!